You can reorder the links in your site’s left-hand navigation. The contents of the folder should display in the main panel. 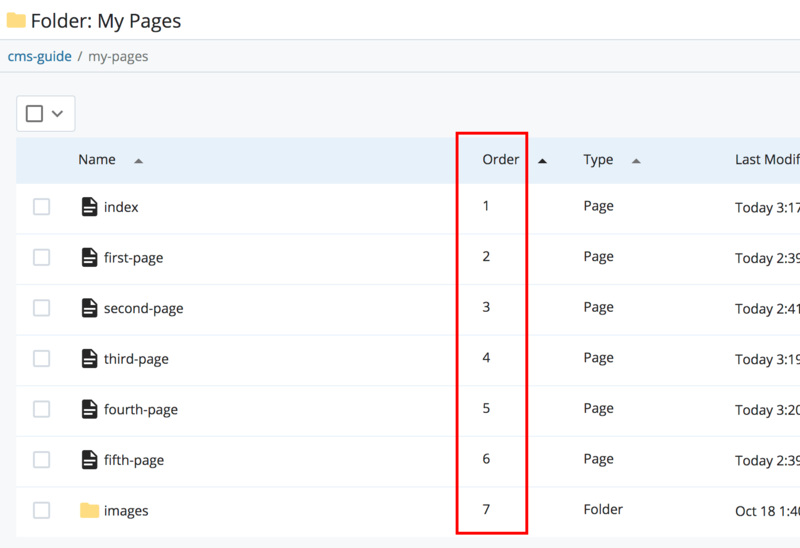 Click on the Order heading to list the assets in the order in which they appear in your site’s left-hand navigation. You should now be able to drag and drop the assets into the order you want them by placing your cursor to the right of the asset name. You may also use the arrows under Actions to move your asset. Click a page in the folder to preview the now-revised link order. Select the page and click Edit. Uncheck the Include in Left Navigation box and click Submit. If your page is live, republish the folder from which the page was removed in order to update the left navigation. If the page was a top-level link in the left navigation, you will need to republish your whole site to remove the link from every page. 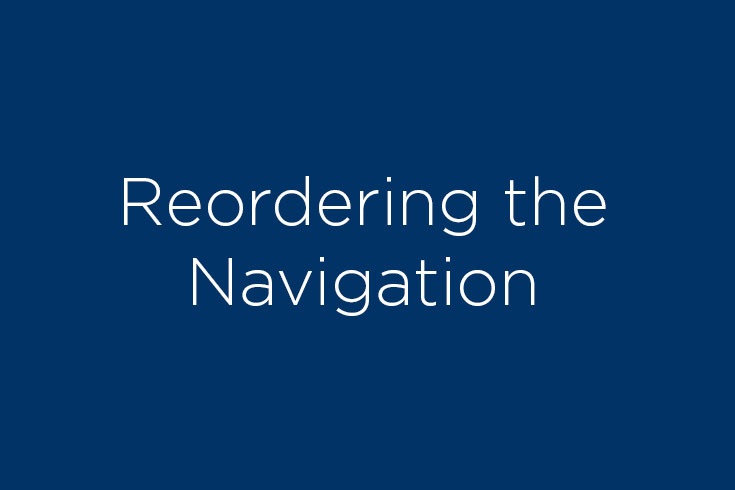 This video demonstrates how to change the order of the navigation within a folder on a site. After changing the navigation, you will need to republish all or part of your site. Please note: This video has no sound.